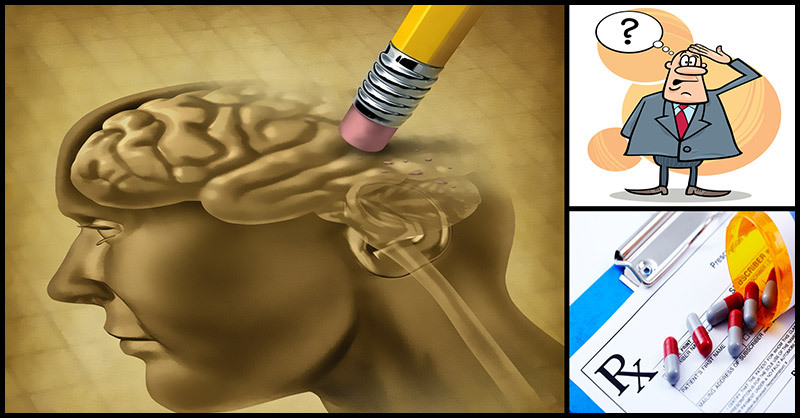 Memory loss is often considered as one of the early signs of Alzheimer’s. But did you know that it can actually be a side effect of standard prescription drugs? What’s worst is that a lot of people don’t really know these risks and assume that their inconceivable forgetfulness is a symptom of aging. That is why, if all of a sudden you find yourself forgetting things you normally wouldn’t, one of these prescribed drugs may be the culprit. A lot of people who take prescription sleeping pills often report of having issues with memory loss. An example of this is known as “Ambien blackout” or “Ambien amnesia,” wherein patients, after taking the sleeping pill, Ambien, have certain behavior in their sleep with no collection of it the following day. Patients taking sleeping pills have EEG scans showing their brainwave patterns indeed different compared to normal people. Statin cholesterol-lowering drugs, which supposedly help your heart, increase your risk of memory loss by almost 400%. This is because one-quarter of your brain is composed of cholesterol, which s needed for the production of various neurotransmitters, not the least of which are those needed for learning and memory. These include medicines like antibiotics, antihistamines, anti-hypertensives, and antipsychotics. They are otherwise known as the “anti” drugs” and affects the levels of acetylcholine, which is a primary neurotransmitter associated with learning and memory. According to neurologists, those people with low levels of acetylcholine find it difficult to concentrate or find the correct word. Actually, dementia and Alzheimer’s are often linked to deficiencies in this neurotransmitter. Doctors won’t tell you that the side effects of anticholinergic drugs are more severe among seniors. This is mainly because of the natural reduction of neurotransmitter as we age. According to conservative estimates, seniors who take anticholinergic drugs are most likely to increase their risk of developing dementia by around 30%. Tell your doctor immediately if you believe that your prescriptions are causing your memory loss. The herb is famous for improving all-around mental function. It is also a known adaptogen, meaning that it helps boost your immune system. Stress is one of the factors in memory loss. Overly stressed people find themselves not remembering things correctly or at all. Ashwagandha can help you cope up with stress naturally by preventing the deterioration of brain cells. This herb improves blood circulation and supports memory function. Among traditional healers, Gotu kola is extremely popular and is normally given as a tonic. According to naturopaths, this herb enhances memory, improves mental function, and reduces stress. Bacopa is repeatedly hailed as an overall brain-boosting aid.